So the lovely ladies over at Yankee candle sent me some goodies recently. Their only instructions were that they wanted me to HONESTLY review them, I have capitalised honestly because this post is 100% my own opinion and I have not been asked to say anything other than to be honest, which is what I shall do! I will be honest, I don’t like olives so I probably wouldn’t pick this up off of the shelf out of the array of fabulous products that Yankee sell. When I received the package this was the first one I unwrapped and I was a bit worried about having to review it, given that I really hate olives. However, unlit this candle smells divine. I’ve found that, just because I don’t like the taste of olives, does not mean that I don’t appreciate the smell! 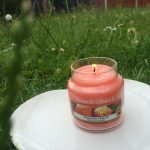 Unlit, this candle smells really really fresh and light, very summery! The Thyme also compliments the olive smell perfectly, leaving a really fresh, and quite unique, scent! When lit, this candle still smells very beautiful. 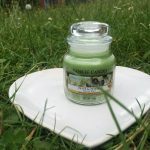 However, it is a very light and quite weak scent, so this small candle probably wouldn’t be enough to add a scent to an outdoors event, such as a garden party, you would probably need the large jar for that! But this scent is still undeniably gorgeous and perfect for adding a summery smell to your indoors! 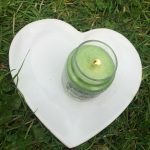 I wouldn’t choose this candle scent myself, but it is still gorgeous and adds the scent of summer to the home. Ok, I was admittingly a lot more excited about this one. 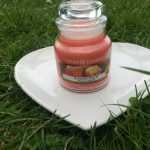 Although, again, I don’t like the taste of peaches, I have always LOVED the smell, so this candle is definitely one I’d pick off of the shelf! 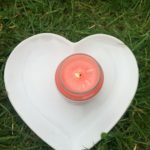 It is also pink in colour, which makes the product look and feel more summery for some reason and this candle just looks really adorable! I actually smelt this candle through the packaging before I’d even opened it and I was very very excited! This candle smells absolutely divine! 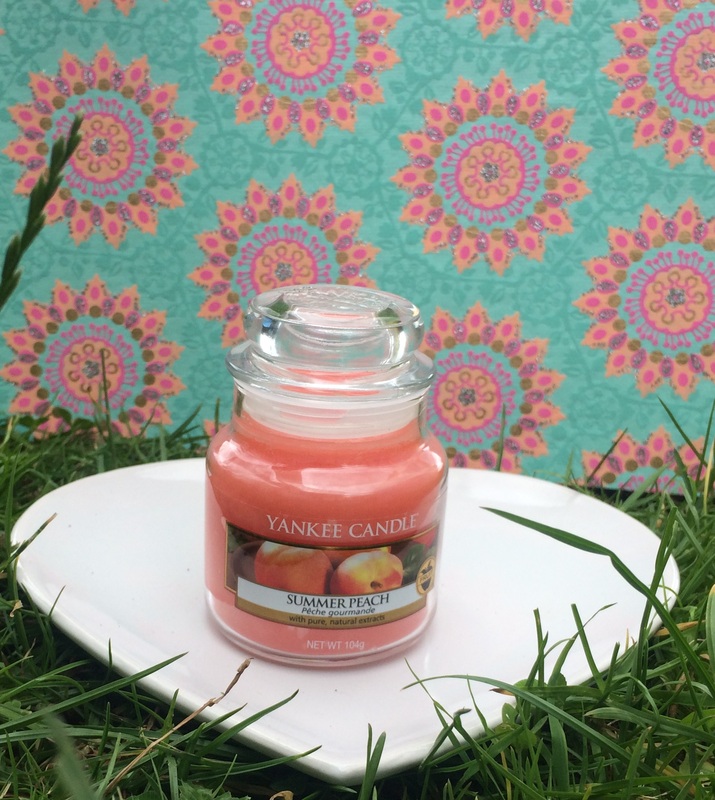 It is light, it is fresh, it is summery, it is sweet and it is exactly like peaches! Like, genuinely, I think this might be becoming my new favourite Yankee candle, I am obsessed with it! When lit, this candle smells just as, if not even more, divine! This scent is just absolutely gorgeous and, to be completely honest, it’s quite hard to even put into words. This is quite a strong scent, so even the small jar size adds a lot of smell to your home. I just really love this candle, I don’t think I could possibly love it anymore! Definitely a new favourite! I would definitely choose this candle myself, the colour is pretty and isn’t an eyesore in the home, and the scent is just gorgeous. Wow. So there you have it, my review of some of the newer Yankee products this summer! 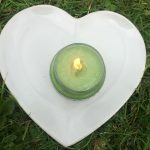 I would like to thank Yankee, once again, for their generous samples and I hope you have loved reading this post and are inspired to buy these products and try them out for yourselves! As always, let me know any feedback if you loved this post or hated it or anything in between in the comments. Alternatively, you can let me know on my Twitter/Instagram/Snapchat @LifeThroughTSG.